The colors of this palette are dramatic and highly pigmented but somehow incredibly fool-proof to use too! 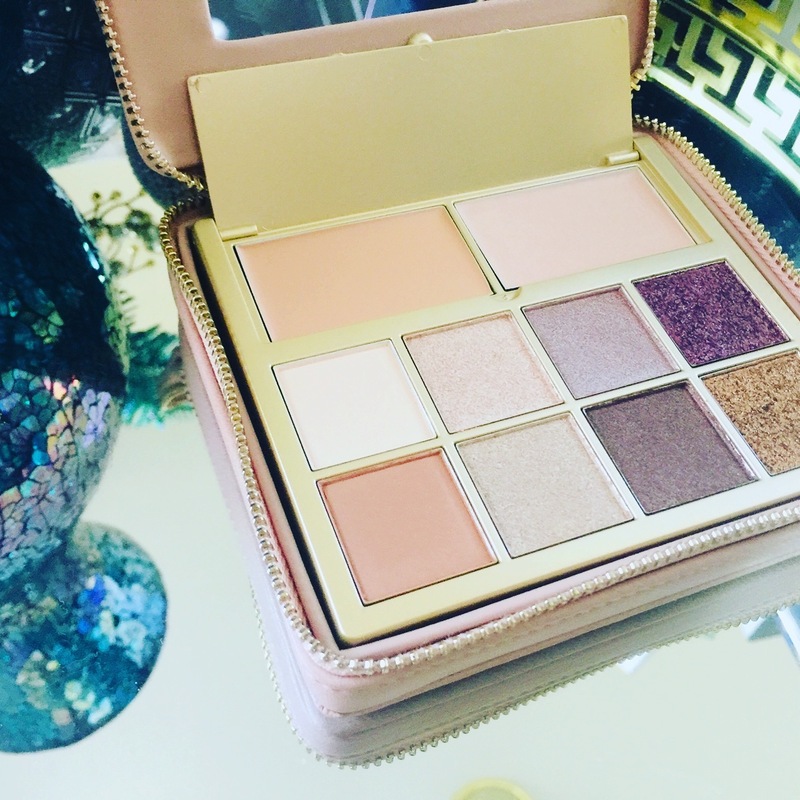 The palette comes with a gorgeous eye primer to help give lids a natural-looking lift, a highlighter that can be used all over the face to help disguise and blur the lines of fine lines and wrinkles, and 8 gorgeous eyeshadow colors that also really brighten up eyes and make eyelids look lifted and more youthful too! It also comes in a beautiful, reusable zipped clutch you can use even well after your makeup is gone! 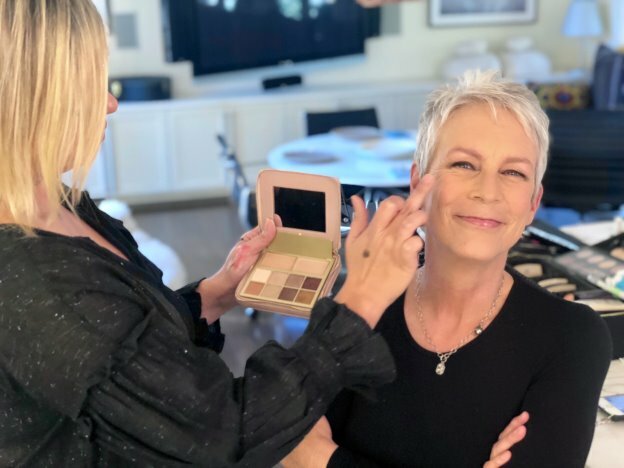 Makeup Artists and Celebrities (such as Jamie Lee Curtis, Debra Messing, and Laura Dern) are also going crazy for this beautiful age-defying makeup palette, and it’s no wonder! It’s made with the mature woman in mind, and everything in this palette is designed to make skin look more youthful, vibrant, brighter, tighter, and beautiful too! I’ve had so much fun playing around with this palette. I’ve come up with (with the help of one of my favorite makeup artists) a look using this palette that really makes my droopy eyelids look lifted! Another favorite is this easy to recreate look makeup artist Camille Clark created on Jamie Lee Curtis. Camille chose this palette for its velvety smooth texture and beautiful ranges of shades and pigments – with the perfect amount of shimmer – even for the aging woman! 1. Start with the Brighten + Perfect Cream Base on the eyelid. 2. Use Silhouette (warm matte taupe) in the crease of the eye. 3. For a soft smokey effect, mix Rococo (antique metallic gold) and Baroque (deep metallic plum) in the outer corners of the eye. 4. Apply a soft touch of the Inner Glow Cream Highlighter on her cheekbones to complete the look. The possibilities are endless when it comes to creating beautiful, youth-defying looks using the B-Glowing Illuminate + Shine Palette! I know you will love how it hides the flaws and really makes you GLOW, just like I have! MOst of the time, I find that highlighter is sold separately from eyeshadow or that you have to buy colors separately when buying eyeshadow. It’s nice that all of it is together. (It’s more organized.) I also like the case it comes in. Thank you for the tutorial. 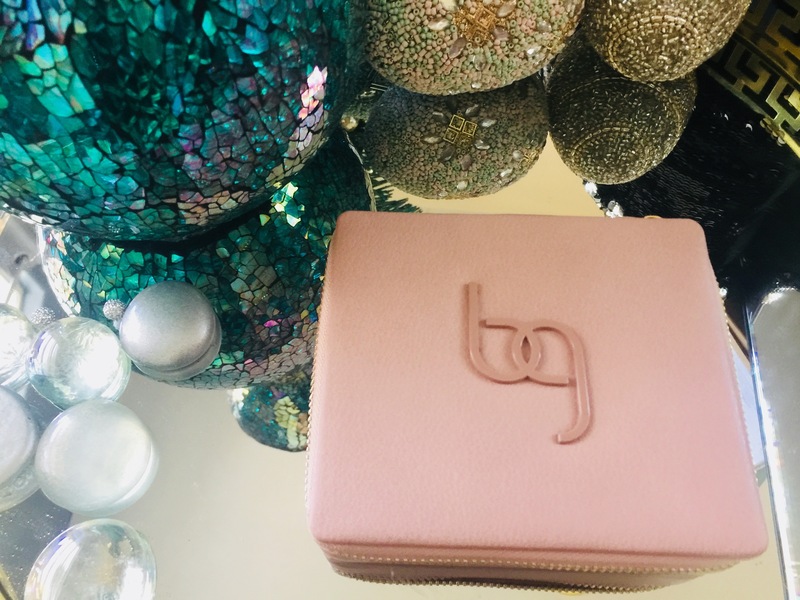 It is and the case can totally be used on it’s own as a chic clutch! I’m about her age, and I would love to look like Jamie Lee Curtis. Thanks for posting! I’ve struggled with it too paige! But the trick i teach in this video, I learned from an amazing one on one with The fabulous makeup artist Yvonne – and it’s really helped me nail a more prof look! I 💗 that beautiful palette! Great colors! This is the best makeup Ive ever seen! I have to get my hands on this kit! You won’t regret it! It is one of my very favorites! I’ve been using it everyday since I got it! LOVEEEEE it! I have to say that if Jamie is using this stuff, it must be good as she looks awesome – and I am younger than she is. I’m sold! This palette is beautiful. Definitely going to look into purchasing. Thank you for sharing. I love the colors! I really like makeup palettes, they have a great variety of colors. I hadn’t heard of this but it looks really impressive. I’m over 50, so I like the idea of makeup designed for aging skin. Nice to see makeup made specifically for aging skin, as I am in that category. It can be difficult to get it right and not make yourself look older! 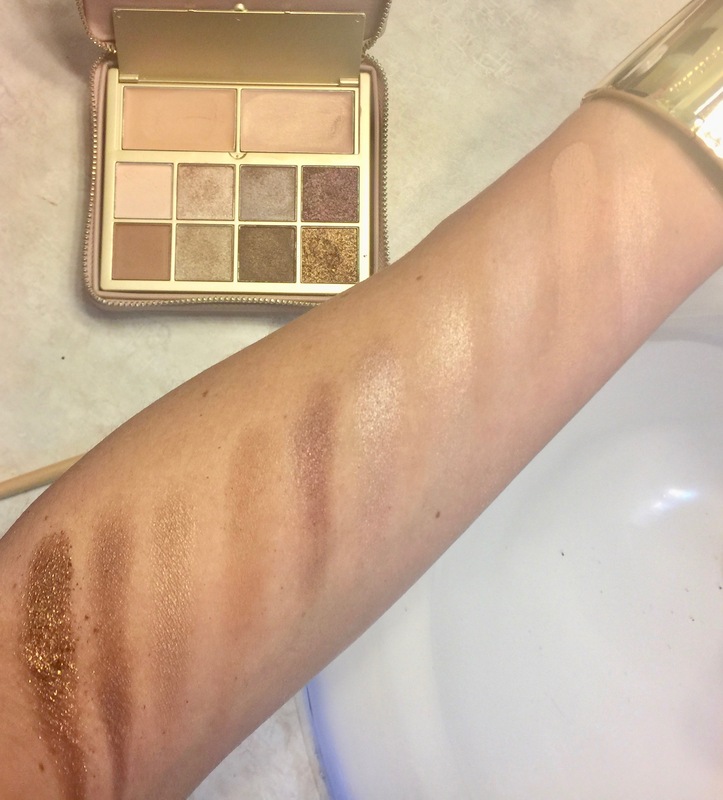 This palette is beautiful and I love that it is for aging skin. Thank you for sharing.